September will be here before we know it, so I wanted to put together a summer “To Do List” blog series for parents and students to help get everyone ready for school to start on September 4. I hope you enjoy the series. In order for an athlete to be cleared for the first day of official practice, all paperwork must be in by August 1. This year the process was changed and most of the forms can be completed directly through Genesis Parent Access. If you have any questions about the process or if you are not sure whether you owe anything, please check with your coach. Be proactive and DON'T wait for the last minute. 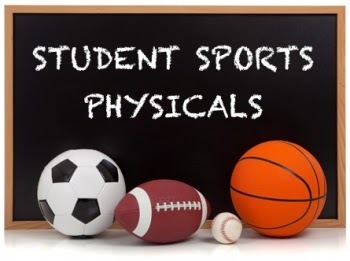 Beginning with the 2014 Fall Athletic Season, most student-athlete forms are now accessible on the Genesis Parent Access and should be signed and submitted electronically. Waldwick High School has created an electronic signature page that allows you to read and submit all forms on line. I hope you are enjoying your summer and looking forward to the upcoming 2014-2015 High School Athletic Season.My name is Michael Mayer and I am the new Athletic Director for Waldwick High School.I am thrilled to be a part of the Waldwick schools, athletics, and community.Waldwick has a rich winning tradition and history of excellence not only on the playing fields, but in the classroom as well.I am honored to now be wearing Warrior blue and being a part of it all. WarriorNation checkout your new home court! !